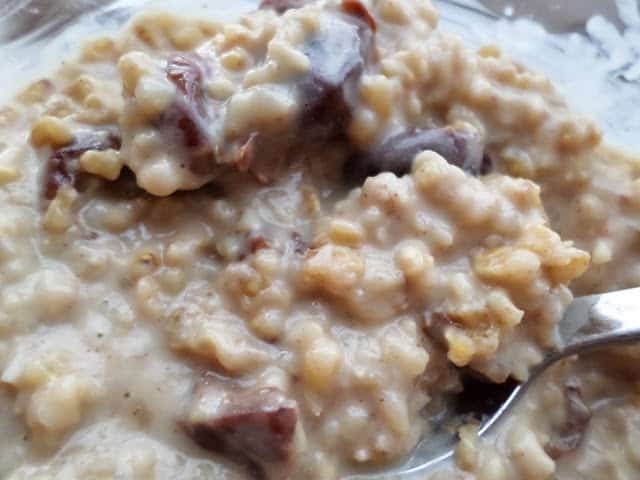 Slow Cooker Irish Steel Cut Oats is a delicious way to start your day. Simply add all of the ingredients to your slow cooker before going to bed and when you wake up, your breakfast is waiting for you! Steel-cut oats are perfect for slow cooking, hearty enough to withstand hours of slow cooking. Irish steel-cut oats have a chewy and creamy texture that we love here at Turnips 2 Tangerines. Here are a few facts about steel cut oats. Steel cut oats and rolled oats are nutrition superstars. Steel cut oats are sometimes called; Irish, Scotch or Pinhead oats. Rolled oats are sometimes called: old fashioned oats. There is also quick cooking oats. Steel cut oats share the same health benefits as rolled oats. Regularly eating steel cut oats gives you the same health benefits as rolled. Steel cut oats need to be cooked longer than regular oats, making them perfect for the slow cooker. 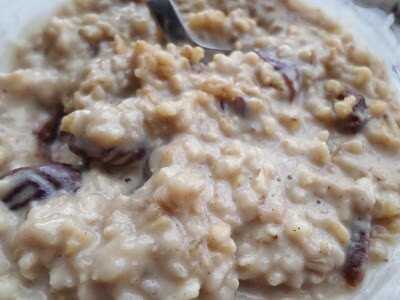 Steel cut oats need to be cooked longer than regular rolled oats making them perfect for slow cooking in your crock-pot. They differ from old fashioned rolled oats in only one way, steel cut oats are not rolled flat into flakes, instead the whole toasted oat grain, or groat, that is used to produce rolled oats, is cut into thirds to yield steel cut oats. Steel cut oats are nearly identical to old fashioned rolled oats in nutrition. Eating rolled oats or steel cut oats can: decrease your risk for heart disease, helps to regulate blood sugar levels in diabetes, can help to lower your cholesterol, helps with weight loss, making you feel fuller longer and can help control blood pressure. Our grandma’s and mom’s were right when they told us to eat our oatmeal, steel cut oats and old-fashioned rolled oats have been around for many years for good reason, they’re good for you! A good guide to remember when preparing steel cut oats: 4-to-1 ratio of liquid to oats. If you prepare 1 cup oats, you will need 4 parts liquid, such as water, milk, soy milk, almond milk, coconut milk, half and half or a combination of liquid ingredients. Add a little more liquid if you like creamier oats. 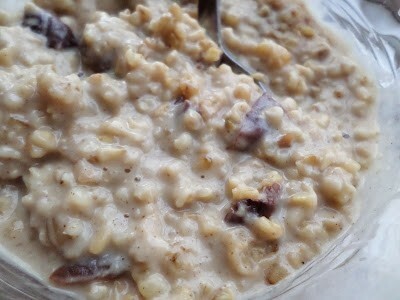 You can add also add to steel cut oats: raisins, figs, dates and coconut. Dried fruit such as cranberries, cherries, blueberries and mixed fruit. Chopped fresh fruit can be added such as apples, pears or berries. Fresh fruit can be added in combination with dried fruit also. Brown sugar, maple syrup, molasses and/or honey can be added for sweetness. Sliced almonds, pecans or any nut can be added. Vanilla extract, along with spices can be added to suit your own family’s taste. To add even more flavor, stir in applesauce, pear-sauce, even canned pumpkin. Any combination will work making the possibilities endless. Make your morning tastier with these delicious oatmeal inspired recipes. Amish Style Baked Oatmeal, and Steel Cut Oats with Dried Cherries. Healthy Note: Use applesauce or pearsauce to replace some of the fat called for in a recipe.